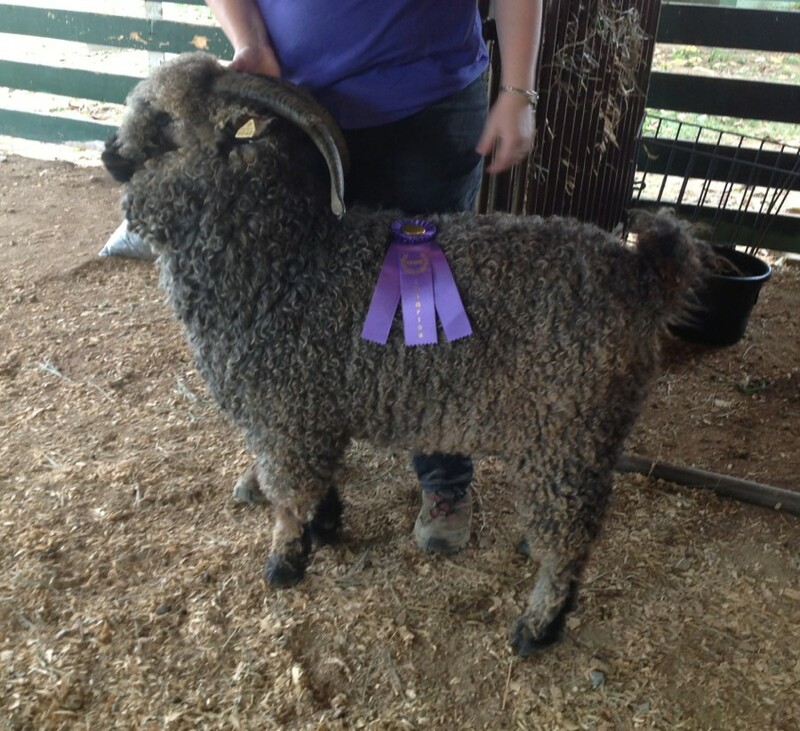 Ari took Colored Buck Grand Champion today at Shenandoah. Good-bye Rex, Angelina, and Chloe. Ari, yearling son of Anna by Cookie, took Grand Champion Colored Buck. And most of my Fairfax Wednesday knitting group was there to witness it. Earlier in the day, we took champion colored buck fleece (yes, they separated buck and doe) with his June clip. I also sold Rex, Angelina, and Chloe today. It's been a banner day. Woot! Congratulations :) Sounds like a fantastic day. Looking forward to this week. Many congratulations on both the win and the sales! Thank you. I'm sorry you are missing this year's festival. Yay! Go, you! I'm sorry I wasn't able to come this weekend. I'm sorry, too. But not to worry. I'll be beaming for a while yet.